Precious Bath for Gold, Platinum, Diamonds and Precious Stones. 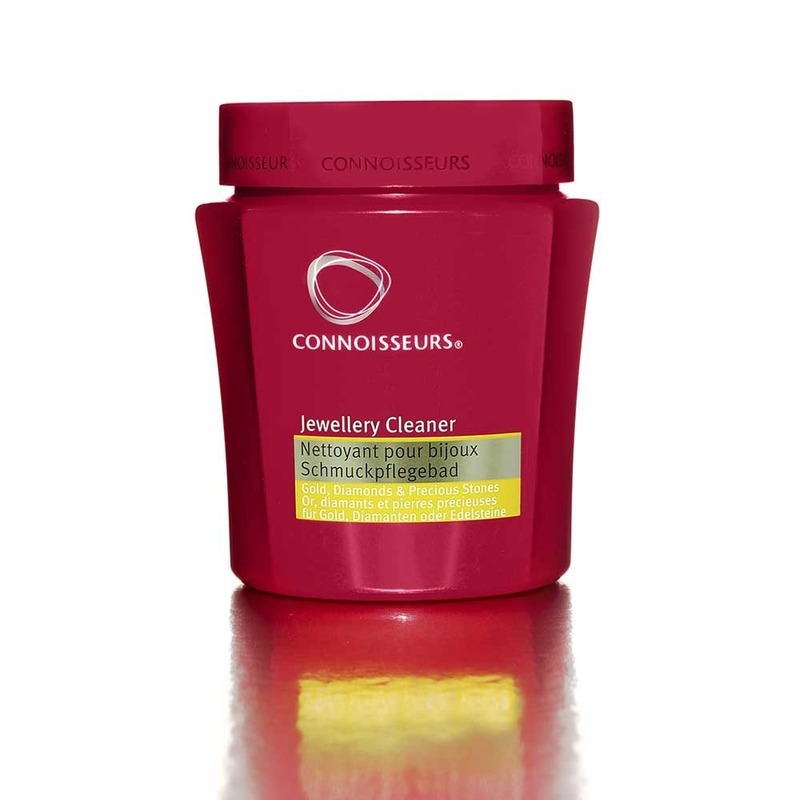 Regularly cleaning jewellery with Connoisseurs Precious Jewellery Cleaner will greatly improve the brilliance of your gold, platinum, diamonds and precious stone jewellery. Polymers in its formula help reduce the appearance of tiny scratches built up in settings over time. Precious Jewellery Cleaner is a good way to clean most metals used in making jewellery today.